Arion's sleek and slippery-looking Lightning is built in Shelbyville, Tennessee. 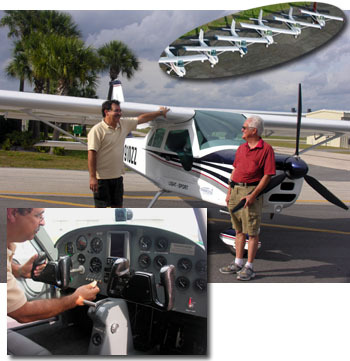 It is available as a kit or Special LSA. 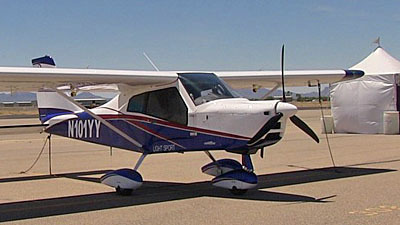 The Marana Regional Airport, in Marana Arizona was the site of the first annual U.S. 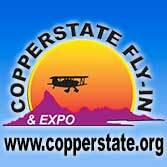 Flight Expo May 3-6, 2017. The west coast of the U.S. appears to lack major aviation events of the sort commonly seen in the easter U.S. 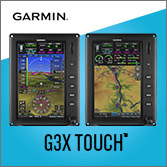 This is especially odd considering the large number of pilots and aircraft in western states! (Some have observed how western populations are spread over a much larger area, which possibly accounts for this disparity. 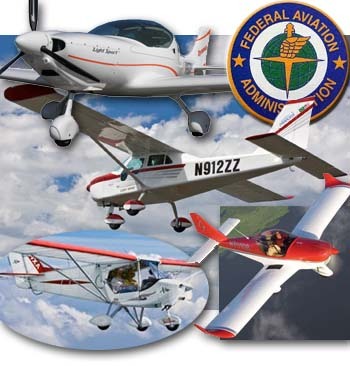 —DJ) One of the most successful annual aviation events not sponsored by a member organization is the U.S. 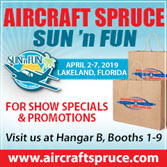 Sport Aviation Expo in Sebring Florida, which will celebrate its 14th year in 2018! Others have followed (Midwest LSA Expo &DeLand) but these sector-specific shows are still concentrated in the east. 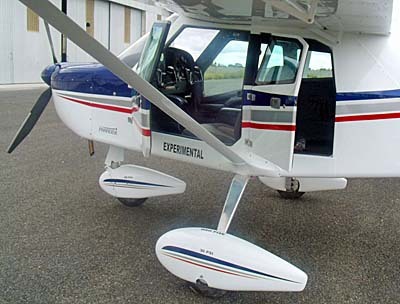 The tricycle gear version of the very successful Aerotrek line; A220 is the taildragger version. So it was about time for another western event other than Copperstate, which will celebrate its 45th year in 2017. Using the template that original director Robert Woods used to make Sebring such a success, Greg Hobbs — one of the leading organizers of the U.S. 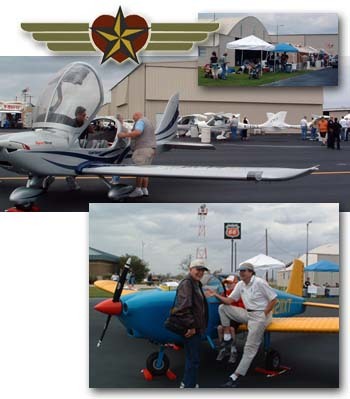 Flight Expo — set out a year ago with a group of local aviation enthusiasts and volunteers to organize the show. This group deserves a great deal of credit for the time and hard work they put into laying out and setting up the show. 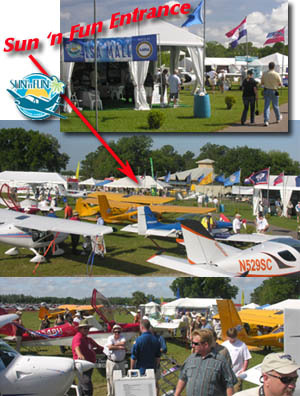 Arriving aircraft exhibitors had easy access to their display booths and to the runway for demo flights. Ed Ricks is now representing the Paradise from Brazil. After early success the brand disappeared but is now returning to the U.S. after a change of owners. 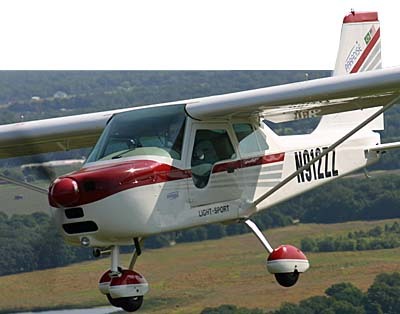 Those attending the show were treated to a range of Light-Sport Aircraft, from leading LSA manufacturers or their dealers. These included Lightning West with the Arion Lightning. 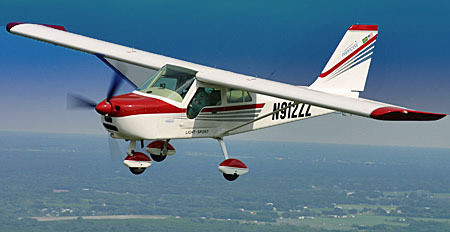 John McBean sent a representative with a KitFox. 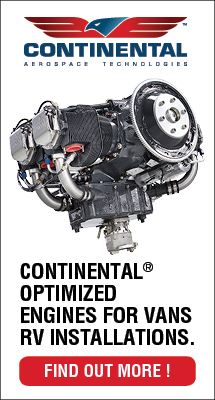 Bryan Gorman from Certus Aircraft showed a SportCruiser. 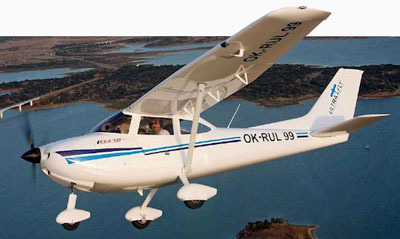 Ed Ricks brought a Paradise Aircraft P1. Jerry Hain displayed a beautiful Stemme motorglider. 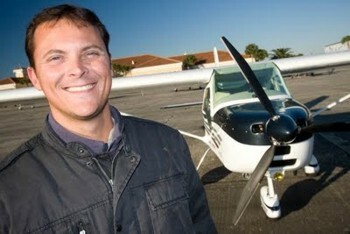 Director of Marketing, Rick Paul was on hand with the Merlin LSA from Glasair. 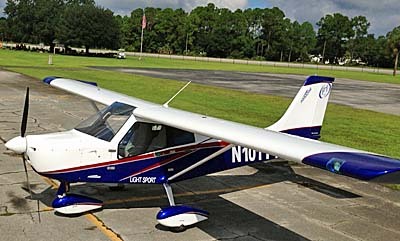 Aeropilot USA dropped in with their L600. 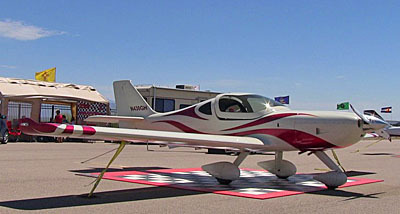 Arizona Ultralights had a number of aircraft on display including the Aerotrek A240 which they use in a flight training environment; they also exhibited a CGS Hawk, Quicksilver Sprint, and a fully functional and flying B1 RD antique ultralight from Robertson Aircraft. 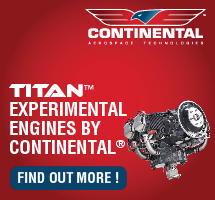 The latter dates back to the very earliest days of ultralight aircraft. For those interested in weight shift aircraft, Neil Bungard had both a single seat and two seat AirCreation trike on display and Evolution Trikes had a new REV single seat Part 103 ultralight weight shift trike. 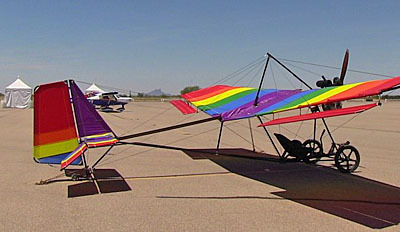 B1 RD was a very early ultralight, a design by Robertson that put the engine up front and swung a large prop. 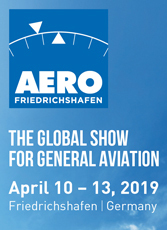 For those looking for information on Autogyros, CFIs Britta Penca and Ben Pedersen representing AutoGyro Arizona were on hand. 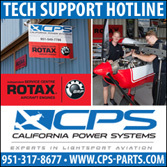 Aviation accessory suppliers Aircraft Spruce, California Power, Chandler Avionics, and Sensenich Propellers were on hand with product and staff to answer any questions attendees might have. For those looking for a real thrill rides were available in one of the few remaining B-25 bombers. One of my close friends had an opportunity to go up in it and he is still flying on cloud nine! Last but not least I have to give a shout out the the guys and gals from the Sky Ryder Café located by the main terminal of the airport. If you are ever in the area you need to drop in for great food and service in a one-of-a-kind setting. I hope to see you all next year at the U.S. Flight Expo in Marana, Arizona. 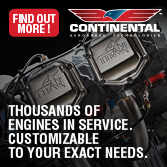 The Marana Regional Airport, in Marana Arizona was the site of the first annual U.S. 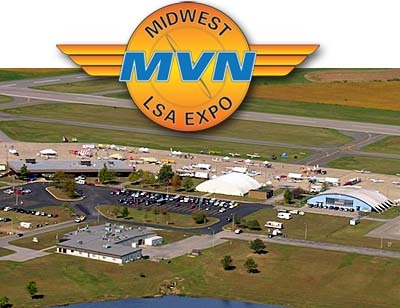 Flight Expo May 3–6, 2017. 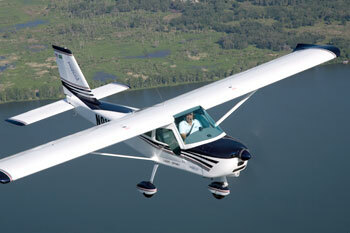 The west coast of the U.S. appears to lack major aviation events of the sort commonly seen in the easter U.S. 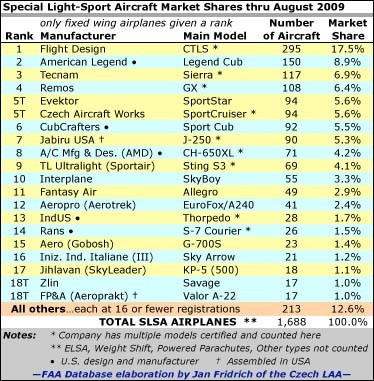 This is especially odd considering the large number of pilots and aircraft in western states! (Some have observed how western populations are spread over a much larger area, which possibly accounts for this disparity. 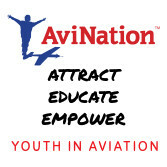 —DJ) One of the most successful annual aviation events not sponsored by a member organization is the U.S. 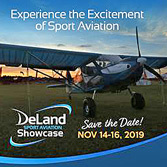 Sport Aviation Expo in Sebring Florida, which will celebrate its 14th year in 2018! Others have followed (Midwest LSA Expo &DeLand) but these sector-specific shows are still concentrated in the east. So it was about time for another western event other than Copperstate, which will celebrate its 45th year in 2017. Using the template that original director Robert Woods used to make Sebring such a success, Greg Hobbs — one of the leading organizers of the U.S.